HI EVERYONE! WELCOME BACK! I hope everyone had a lovely, restful Winter Break, whether you were taking a Winter Session, chilling at home, away on vacation, or studying abroad! But now it’s back to the grind, and I can’t be the only one who’s feeling a tad bit overwhelmed with the impending hustle of the next twelve weeks. It’s only been three weeks into the spring semester, and I already feel like the rustic bricks of Old College are being thrown at me. Nevertheless, how we handle the pressure of achieving a healthy work-life balance is fully within our control—if we develop the right mindset to do so. One of my objectives for personal growth this semester is to really work hard to stay on top of my academics and activities, and I want to share with you some of the strategies I have been using in order to do just that. Be Your Own Manager. When it comes to achieving a work-life balance, organization is invaluable. Most of us have a lot of commitments to maintain, and I understand that it’s not always easy to keep track of it all. Creating multiple visuals for yourself will give you a better idea of what your time will look like for the next several weeks. For instance, I suggest having a calendar spread of your entire semester. Include information such as exam dates, major events (like career fairs, formal dinners, etc. ), and club meeting days. 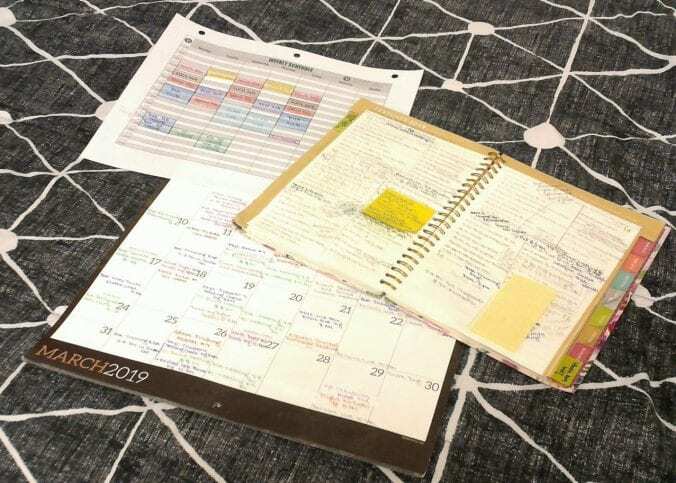 In addition to that, print out a blank weekly calendar and fill out what your typical week looks like, in terms of both academics and activities. You can then use both of these resources in conjunction to plan out your daily life schedule. Side note: don’t underestimate the power of color-coding! From classes to extracurriculars, assign each commitment its very own color, and use the corresponding color whenever making a note about it. This makes it much easier to physically see how your days will play out. Yes, all of this does take some time and effort, but in the long run, you will actually be saving yourself from wasting both! Studying is a Sport. Think of your study sessions like they’re workouts. If you decide to hit the gym after a long winter of hibernation and instantly start pumping 150 pounds of iron, you’re going to shred your muscles. You have to ease back into your workout with some stretches and a quick warmup. Begin with looking through your list of homework assignments and pick out the ones that are due the soonest. Then find one that will take the least amount of time, like a one-page write-up or a 20-question math problem set. Once you get your heart rate going, you can switch to heavy cardio for a while, like breaking into the 70 pages of textbook reading that you have to do for your statistics class. When you feel yourself slowing down with that one, put it away and work your core with any assignments that you may have for outside involvements, such as coming up with a meeting agenda or creating a slides presentation for Wednesday’s study group. Repeat the previous two steps until you’re completely finished, alternating between major tasks and minor ones. Don’t forget to cool down at the end with some wrap-up assignments, like answering emails, going through your to-do list, and of course, planning for the next day. And most of all, if you need a cheat day, take one! Tame Your Hustle. If you’re the kind of person who finds themselves often running from place to place, having back-to-back commitments, and losing sleep even over the weekend, then you’re probably spread too thin. Take some time to sit down with yourself and chat about what is adding to your life, and what isn’t so much. Cut accordingly. I’m still working on this myself, and I know how difficult it can be to say “no” when a great opportunity arises or when people ask for your help. But think about it like this: the more time you are spending on everyone and everything else, the less time you are spending with yourself. And you won’t work like the well-oiled machine that you want yourself to be if you aren’t giving your gears enough rest. If you have big chunks of free time, then by all means, fill it in with things you enjoy. Engagement is excellent—but only in moderation. If you find that you’re spinning out of control, yank on the reins. This is an instance where it is important to be a bit selfish—even if you can only do it a couple hours a week. Don’t be the spark that burns out before it has a chance to spread like wildfire. Patience is a Virtue. I chose this as my New Year’s resolution a couple months ago just to have something to say when people asked me the question, but I feel like I need this advice now more than ever. Be patient with yourself. Forgive yourself easily. Changing up the way you work takes a lot of trial and error, and your days are never going to go exactly according to plan. It’s often going to feel like it would be faster to just go do your thing instead of planning ahead for it, but practice with it, and you will soon feel yourself falling into place. Finally, make a habit out of celebrating all the to-dos that you did get done, not what you didn’t. You will feel much more accomplished, and you will be putting yourself in the right mindset to take on the next day’s challenges when you allow yourself a little pat on the back for all the hard work you did. The end goal here? Don’t let time enslave you. You control your time—how you spend it, and who you spend it with. Some of us have challenging classes, others want to dedicate more time to extracurriculars, and the rest fall somewhere in between. But in one way or another, we’re all in for an extremely bumpy ride this spring, and the least we can do to help ourselves out is buckle up and polish our work ethic. I hope that the approaches above will assist you in conquering your own life schedule. Keep your chin up and go take charge. It’ll be worth it!